EDITION: c1969, 16th edition 2002. Picture Puffin. 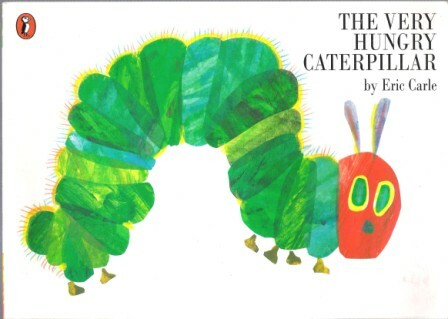 A much-loved classic, The Very Hungry Caterpillar has won over millons of readers with its vivid and colourful collage illustrations and its deceptively simple, hopeful story. With its die-cut pages and finger-sized holes to explore, this is a rich satisfying book for children.